The filing said Nitrogen Studios hadn't paid animators overtime for the lengthy shifts spent creating the comedy. The B.C. Employment Standards Branch disagreed with the studio's defence and ordered the company to pay the workers what they should've been paid, as well as a $500 fine. Responding to the workers' complaint at the time, Nitrogen Studios claimed it didn't have to pay overtime because the animators were "high-technology professionals." 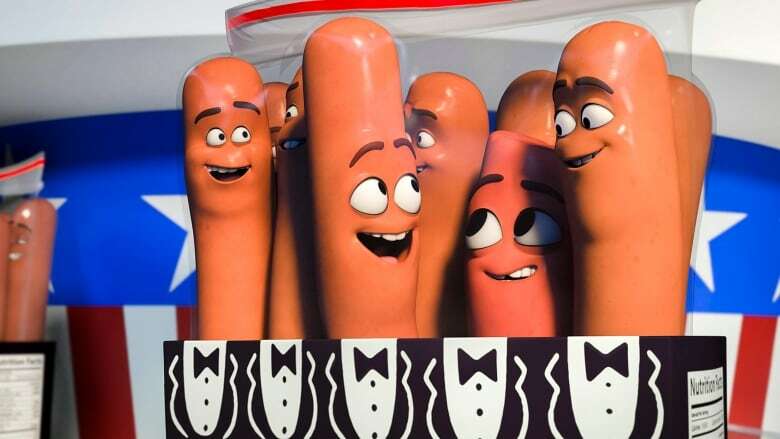 The officer investigating the Sausage Party complaint didn't agree with the argument, saying the exclusion didn't apply to the animators because their primary job of creating visual effects involved using software that's already commercially available. "That's the big deal about this story: it's not so much that they're getting overtime," she continued. "It's because [it means employers] can't use that loophole anymore ... That means every other studio that thinks they can get around the rules on paying overtime, they're going to have to think twice about it before they claim their employees are high tech." In a statement to CBC News on Monday, Cinesite, which now owns Nitrogen Studios, said it will be "fully co-operating" with the branch. "The B.C. employment legal action was launched prior to this change of ownership [in 2017] and on behalf of some artists working in the studio under previous Nitrogen management," the statement read. A previous version of this story mistakenly attributed a defence against the complaint to Cinesite. In fact, the defence was made by Nitrogen Studios before it was acquired by Cinesite.